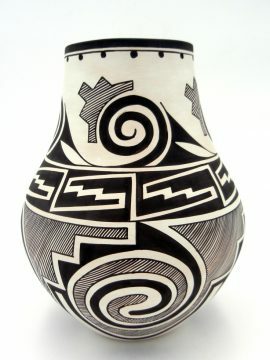 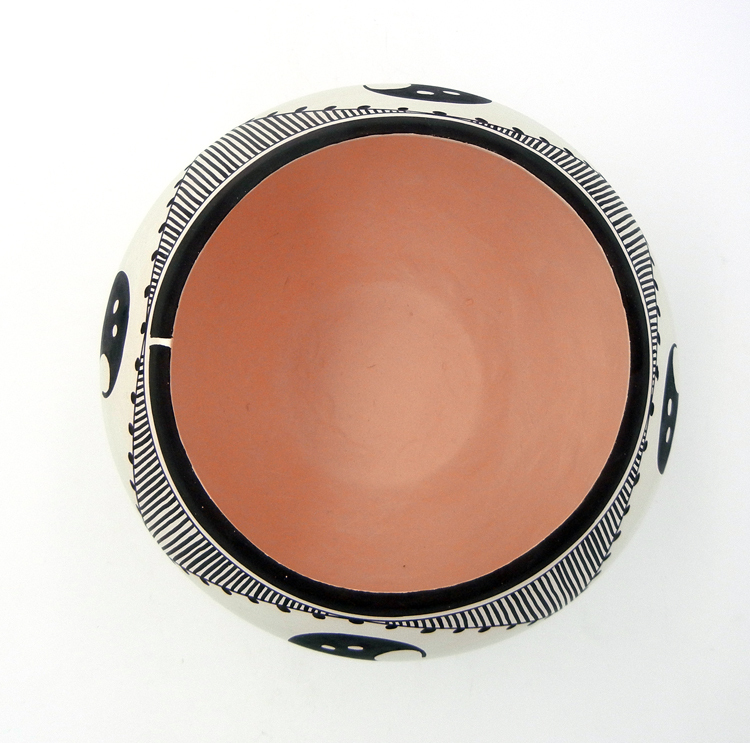 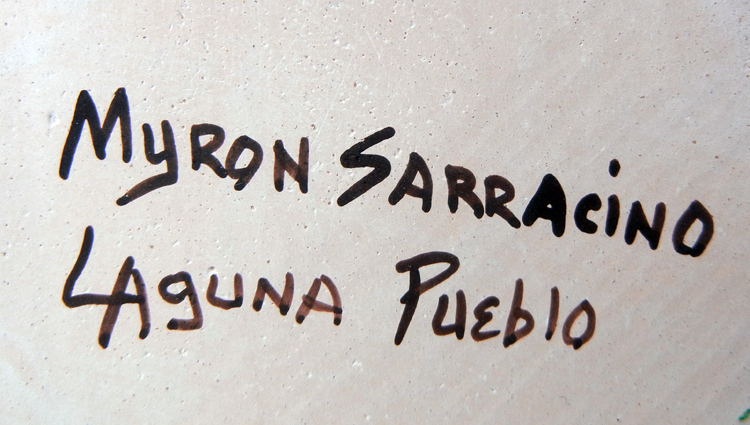 Laguna potter Myron Sarracino, drawing inspiration from designs on shards of old Tularosa pottery, created this stunning black and white jar. 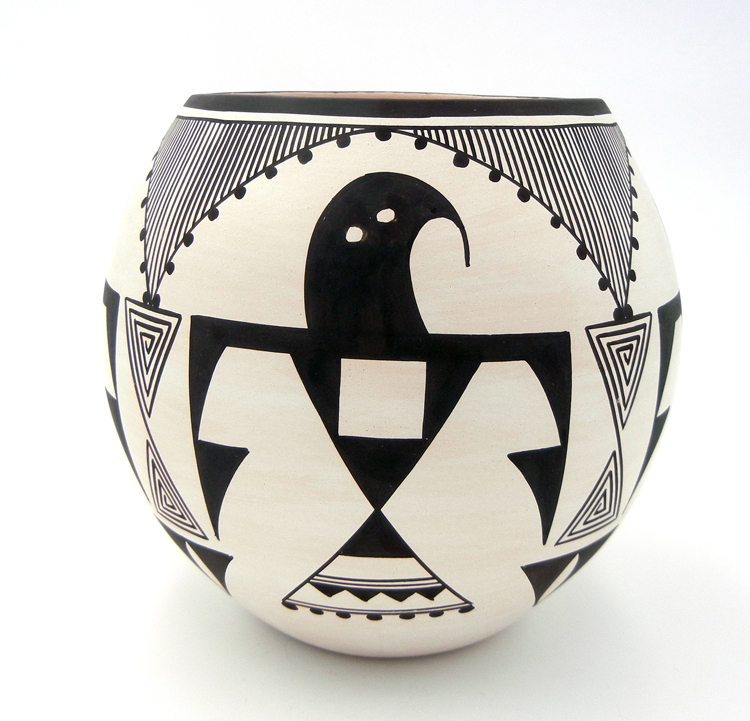 The piece features large, reoccurring thunerbirds separated by triangular whirlwind designs along the center, and fine line and dot patterns below the rim, which represent rain. 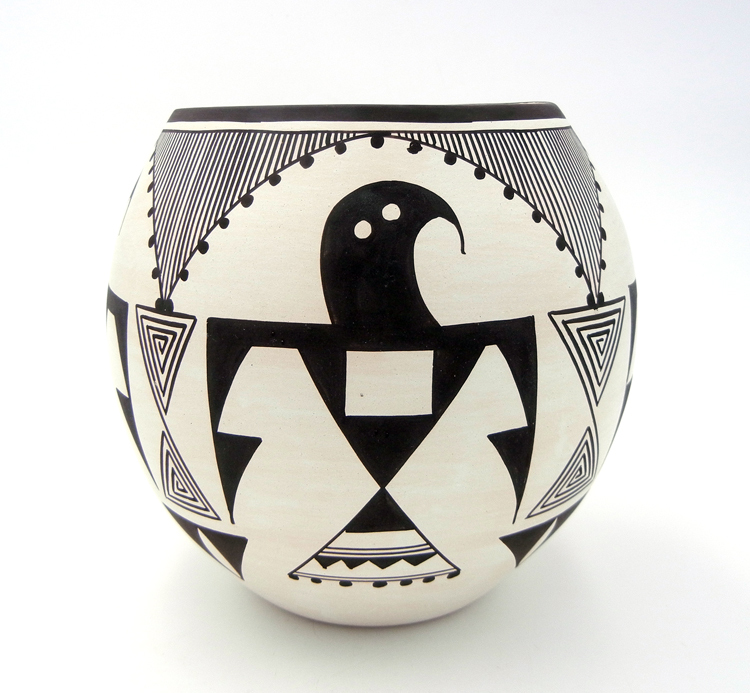 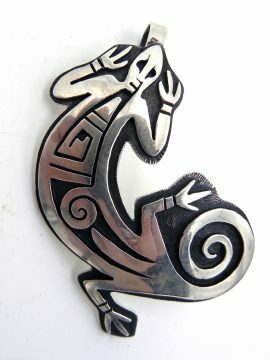 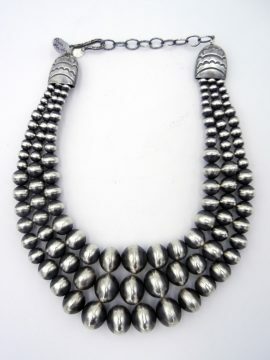 Each thunderbird comprises predominantly geometric patterns, including triangles and squares, while the bottom of the piece is left entirely white. 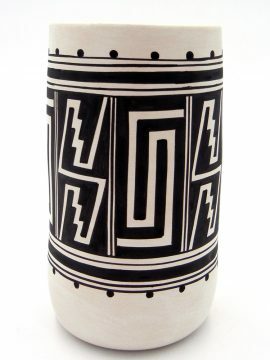 6 1/2″ tall x 7″ wide.